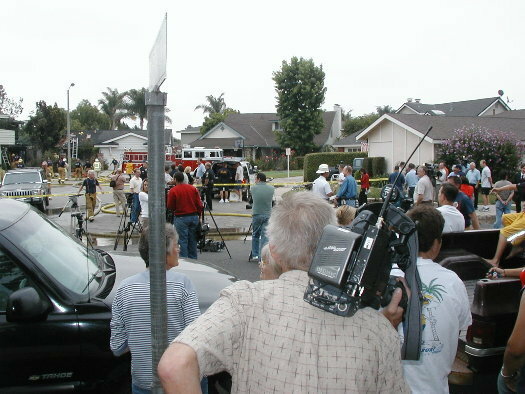 (July 7, 2004, updated from initial morning post) -- The pilot of a homebuilt light aircraft (not associated with LB Airport) was killed, and homeowners on the ground miraculously escaped serious injury or death, when the plane crashed into a Seal Beach neighborhood just across the San Gabriel River from SE Long Beach (east of Studebaker Rd. on a line with Anaheim Rd. near the east bank of the SG River, Princeton Circle at Harvard Lane). 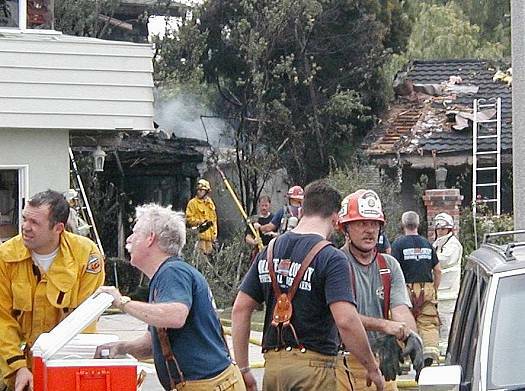 The aircraft reportedly exploded on impact and struck between two homes north of the 22 freeway/7th St. transition road and south of the 405, just north of the 405's intersection with the 605. A man, a woman, and their family dog were in one of the homes struck by the plane. They miraculously escaped without serious injury. The crash set homes on fire. LBReport.com captured the images here. 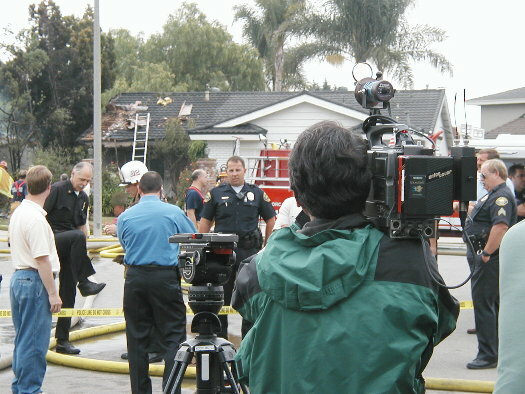 Police (including LBPD, Los Alamitos, Seal Beach and CHP), fire and media descended on the area as neighbors came out of their homes. Several told LBReport.com they heard a noise like a race car or loud engine that suddenly stopped, followed by the crash. 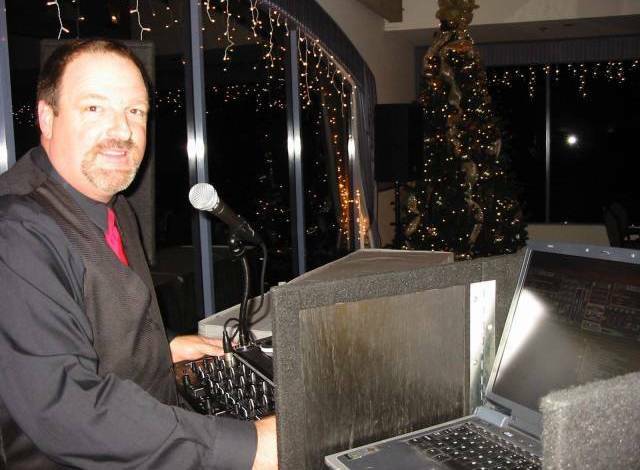 Seal Beach PD says because the plane appeared to have exploded on impact, positive identification of the pilot and sole occupant wasn't immediately available. LB Airport spokeswoman Sharon Diggs-Jackson said the plane was not associated with LB Airport. Further updates to follow. Click reload or refresh on your browser for updates.